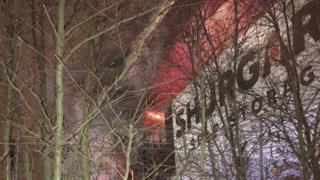 Hundreds of people were devastated when a fire destroyed every single item in 1,198 rented units at a self-storage warehouse on New Year’s Eve. 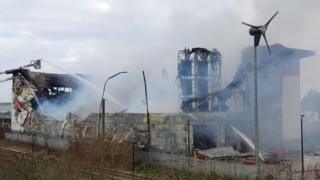 The blaze at the Shurgard building in south London raged for 24 hours and took 125 firefighters to control. As police continue to determine whether the fire was deliberate, customers describe how it feels to lose everything. The New Year’s Eve party Giacomo Malvermi was at was in full swing when his friend glanced at her phone and read out the news that the Shurgard warehouse in Croydon was ablaze. 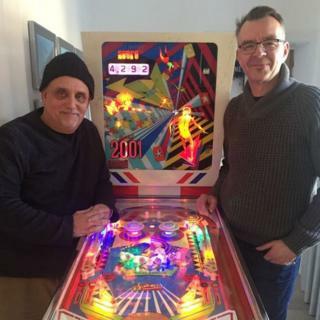 Giacomo restores rare and vintage pinball machines for a living under the name Pinball Creative. He had rented one of the company’s units since 2015 to store personal belongings as well as stock. The 56-year-old spends years tracking down relics before “bringing them back to life” as “working art” by revamping the electrics and intricate paintwork. But 17 pinball machines and dozens of essential parts were destroyed in the fire. “When you lose half of your stock, which has taken probably the best part of 10 years to accumulate, it’s not good,” he said. Unfortunately, Giacomo had been keeping more in storage than usual because he had run out of space in his workshop over the busy festive period. 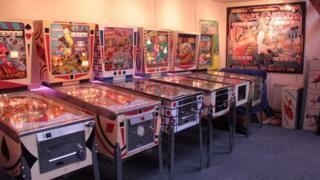 Among the pieces lost were three restored pinball machines, worth a total of £20,000, ready to be sent to their clients. 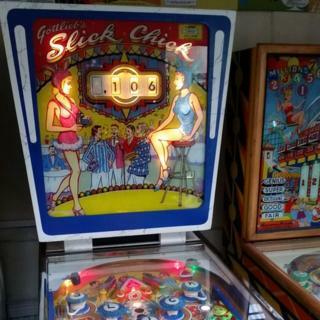 Giacomo only paid between £200 and £900 for each of the 14 old, unrestored machines in the unit. But each one could have been worth up to £10,000 after the “painstaking” restoration process, which often takes months. He said the feeling of losing so many beautiful machines in-the-making is “like grief”. “I keep shaking my head. Sometimes I wake up in the middle of the night. It’s had a really badly psychological effect on me and my wife,” he said. “I felt exactly the same way as I did when my father died in 1991. I got really cold, started shaking, my knees and legs felt really weak. “On the 2 January, I laid in bed all day and I was thinking I could do one of three things. “One, I could kill myself – and I truly thought about it. Two, I can crawl under my duvet, not leave my house, become a hermit. Or three, carry on. 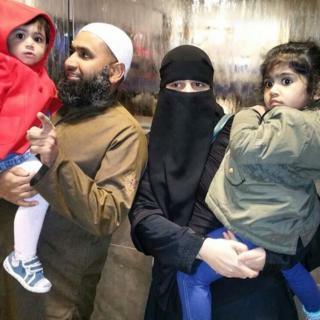 For Mohemmed Nadeem Ullah Khan and his family, the fire was the final blow to end a year of hardship. The 41-year-old had been deemed unfit to work because of mental health issues and his wife cannot work because she is his fulltime carer. In June, they were evicted and placed in emergency accommodation. Currently, the couple and their daughters – aged one, four and six – share a room in a hostel for homeless families. Mohemmed said he “was left with no choice” but to put all of their belongings into the Shurgard warehouse. The family used to go there once a fortnight to change their clothes, due to lack of space at the hostel for their belongings. Their children would also use it as an opportunity to swap their toys. Mohemmed’s two older daughters were devastated their favourite dolls were destroyed. “They told me, ‘Baba, you don’t realise, Amina and Haleema, they are gone’. That really upset me,” he said. Other items lost included wedding presents his late mother asked him to give to his children when they got married. Mohemmed believes their possessions were worth about £17,000, but said he had only paid for insurance cover of goods up to £2,000. With no belongings and nowhere to call home, Mohemmed and his family are now completely dependent on the council. It said it was working to find them long-term accommodation “as soon as possible”. “I’m expecting them to help to house us to make sure we don’t become a street family,” Mohemmed added. Samuel Kaiser used to drive London’s famous amphibious duck boats but swapped the tourist trade for dressmaking. He graduated from Croydon School of Art as a mature student in 2013 and had his first major breakthrough as a fashion designer last autumn when he was invited to Paris Fashion Week. The avant-garde, couture nature of his designs were so well received Samuel was invited back to showcase more work. “I accumulated a bigger collection as I was preparing for Paris,” he said. 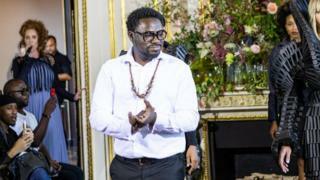 Of Samuel’s 21 designs ready for Paris, 18 – which he said were valued at just under £200,000 – were in the warehouse on the night of the fire. The father-of-two has had to cancel his runway show. “I’m devastated, because this is a set-back for my little company,” said the 52-year-old. 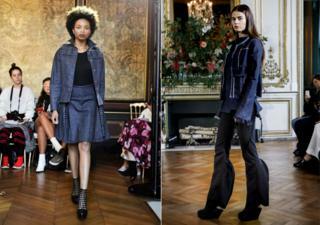 “Fashion is a competitive game – a fall-out like this is quite difficult to [come back from]. Those clothes mean a lot to me, because whenever I looked at them, they made me smile. 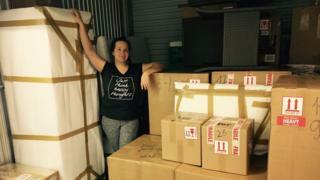 Alex Guryeva and her husband, Alex Talerko, put everything from their two-bedroom house into the Shurgard warehouse in 2017 so they could travel the world. The couple, both 38, currently live in Cyprus and work as IT consultants. Alex said she felt “confused and deeply depressed” the entire contents of her London home were destroyed. “I feel like my… memory and feelings have been totally erased,” she said. 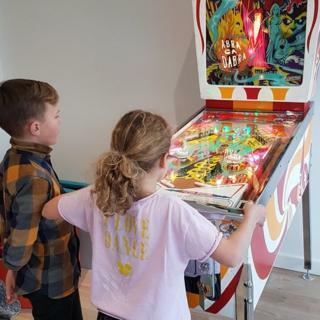 “Obviously things like electronic devices can be purchased again, however it’s impossible to restore gifts and memories collected almost all our life from our family, our colleagues, friends and happy holiday trips. 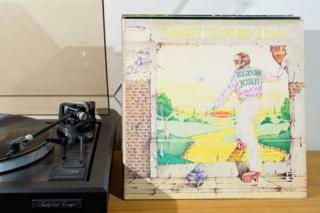 Kevin Miller spent three decades amassing his treasured, 2,000-strong vinyl collection. He had recently moved his things from another self-storage unit in Croydon to the Purley Way site because it offered more space for a lower price. At first, Kevin didn’t think his unit, which also housed his DJ equipment, would be affected by the fire. “They said the fire started at the front of the building and my unit was on the third floor at the back – so I was pretty optimistic that it would be OK,” the 65-year-old plumber said. But, like every other customer, Kevin’s things – which were only in storage due to a lack of space at home – were ruined. He started his record collection when he began DJing in 1985 to make a bit of extra money on the side of his plumbing business. 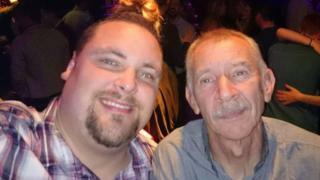 He has fond memories of playing at events, especially when his son James helped out. 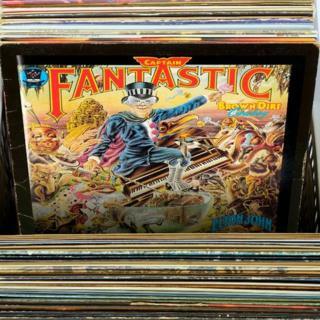 Kevin’s collection included a limited edition double album of Elton John’s Goodbye Yellow Brick Road, Captain Fantastic and the Brown Dirt Cowboy, and The Beatles’ 1968 double album – dubbed The White Album. Easy Infographics Wizard Pro Software with 40 Extra Ready Made Templates!